산업용 환경을 위한 고성능 RFID 데이터 캡처 사업에는 중요한 자산을 추적하고 판매 가능한 제품을 이동하는 일이 중요.작업에서 최대의 효율성과 수익성을 창출할 수 있습니다. FX9500 고정형 RFID 리더기는 탁월한 인식 성능 많은 양의 RFID 태그가 붙은 케이스, 팔레트, 품목을 빠르고 정확하게 옮기고 추적할 수 있습니다. 고밀도 태그 환경, 처리량이 많은 분야, RF 문제가 있는 재료에도 이상적입니다. XR440은 Gen2 지원,RFID 정보수집 및 통신이 우수한 리더. Robust industrial-class platform,Microsoft Windows® CE 5.0 direct application hosting and Intel XScale® processor with 64 MB RAM/64 MB Flash enable integration with a wide range of third-party applications, maximize product lifespan, allow for future upgrades and provide outstanding investment protection. Integrate flexible, enterprise-class data capture into your organization’s mobility strategy. Accurately monitor and control your products with multi-protocol RFID readers Seamless Network Integration and Real-Time Read/Write of All EPC™-Compliant Tags. The MC9060-G RFID extends visibility into your supply chain for the insight you need to optimize resources. 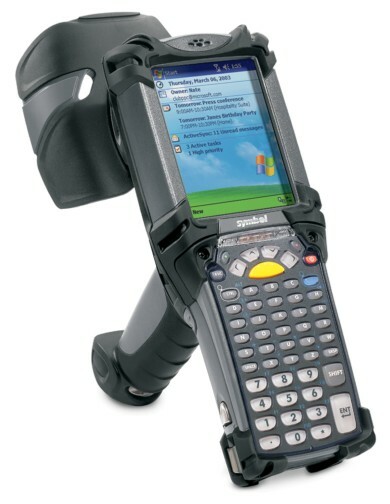 Combining RFID, bar code reading, imaging and wireless connectivity in a rugged design, this handheld computer allows you to efficiently collect and distribute information at critical decision points. With real-time access to transaction activity, you’re able to make better-informed decisions to improve processes. You also are able to more confidently and accurately respond to customer demand. Give your workers the ability to capture a comprehensive range of data ? 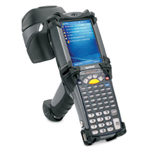 from RFID tags and bar codes to images with this flexible multi-function device. Single device simplicity translates into simpler and cost-effective mobility architecture with fewer devices to purchase, support, and manage. And whether your workers are on the manufacturing floor, in the warehouse, on the loading dock or out in the yard, the rugged design ensures reliable performance. lowprofile housing designed for greater mounting and application flexibility. from the warehouse floor and production line to outside the dock door. The turnkey, enterprise-class DC600 Portal System offers you the ability to quickly gain visibility into your inventory through easy-to-deploy radio frequency identification (RFID) technology. It enables the real-time capture and update of RFID tag information into your enterprise systems while simultaneously allowing business process change through real-time alerting and alarms. In addition, the DC600’s light footprint, flush wall mounting and ergonomic properties make it a good fit for multiple locations, including space-constrained environments. The RFID Kit from Symbol Technologies provides a fully functioning advanced data capture system for quick deployment of pilots and small- to medium-sized data capture applications. This kit enables you to deploy a complete RFID system to demonstrate and quantify the benefits of RFID in your specific environment. Comply with customer mandates and gain a competitive edge with Symbol RFID UHF tags and inlays. 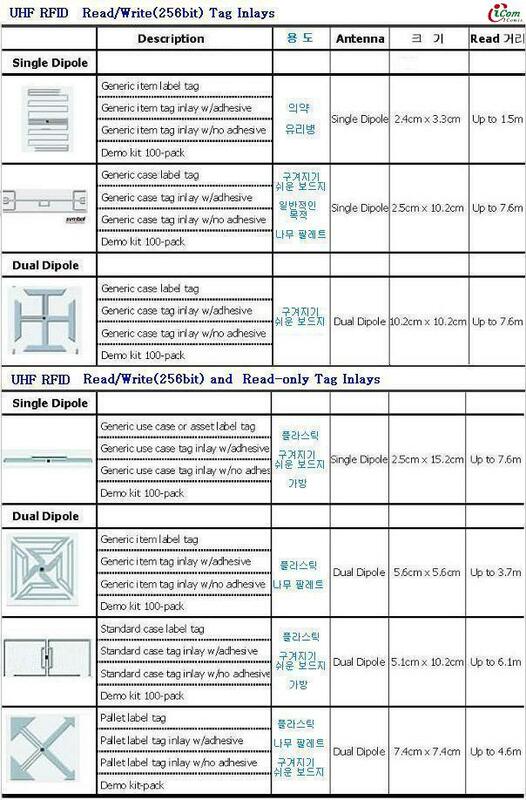 통합 RFID 포털 시스템인 Symbol DC600. 배송 시스템 등 향후 다양한 비즈니스 프로세스에 걸쳐 RFID 적용. 가시성과 보안 성능을 제공해 자동화된 공급망 조정, 실시간 정확한 선적을 실현하고 배송 오류를 최소화 해줌. 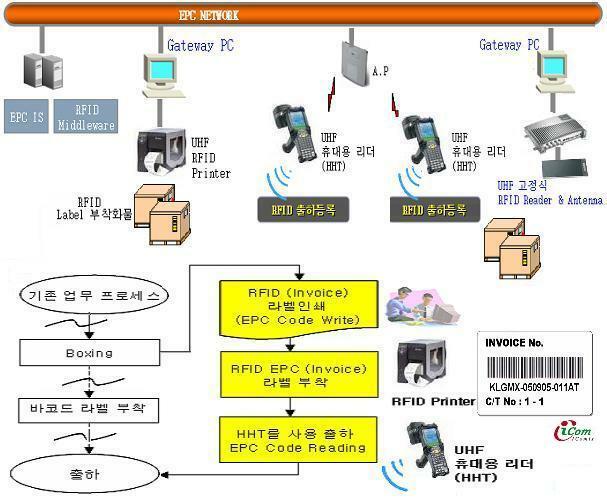 효율적으로 운영하고, EPC RFID 테크놀러지의 활용을 극대화. 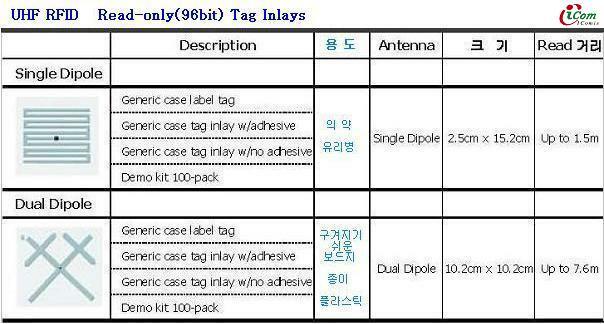 RFID & RFID시스템 (Radio Frequency IDentification)란?